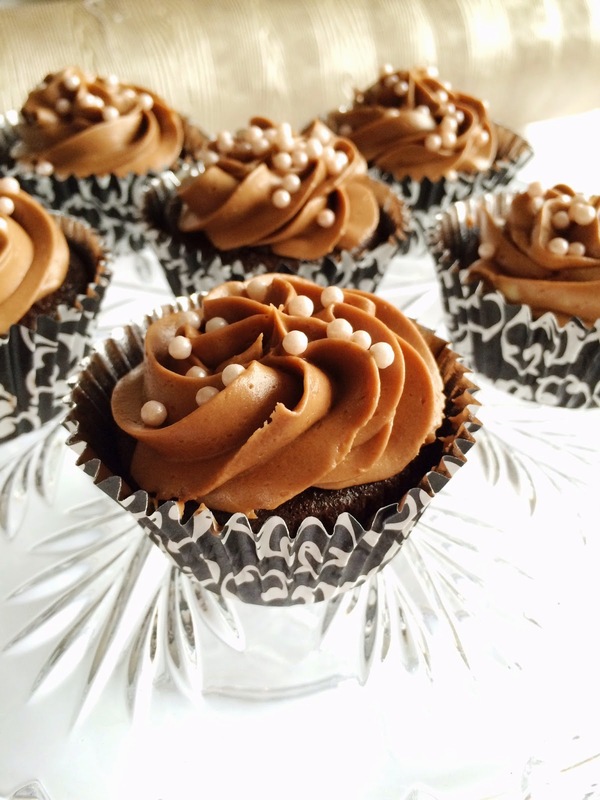 I dare you to resist some creamy Nutella cupcakes with candied pearls? There's nothing like a little sweetness to kick-start the week, wouldn't you agree? Lucky me, a few days ago I received a fancy hot pink box with these precious darlings inside. 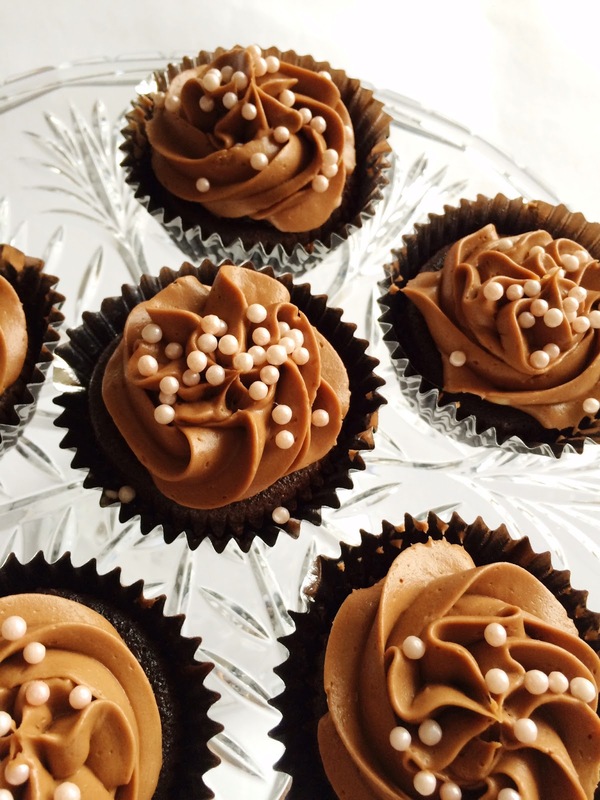 Made with love by the passionate Sophia from Sophia's Montreal Cupcakes, these tiny cakes are such a treat. The frosting is finger licking good and the cake itself is deliciously moist, so yummy! 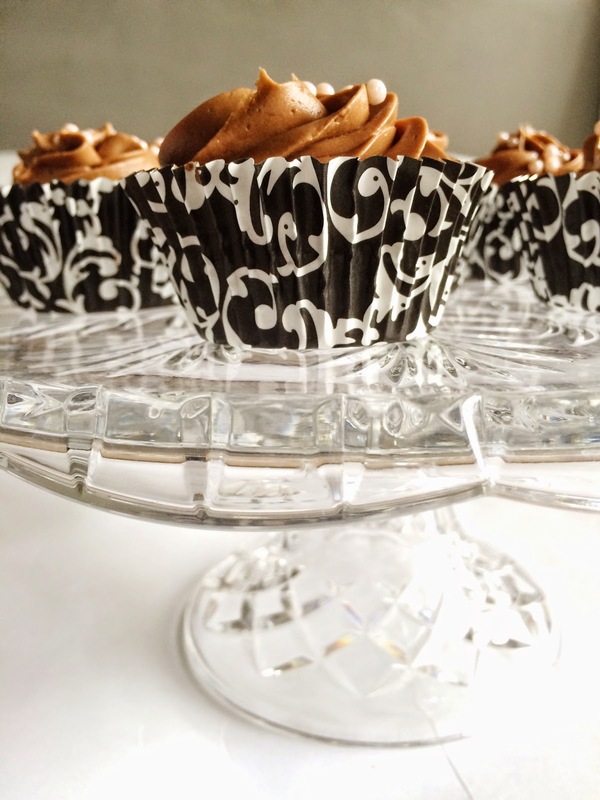 Sophia started to make gluten-free desserts when her own sister became gluten-intolerant. And so she recently decided to launch her own business since she always had a fondness for cupcakes. Now that I have tempted you (at least I hope I did), you'll be pleased to know that Sophia has kindly offered to extend a 25% discount to all the Pearls & Caramel readers located in the Montreal area (until Dec. 24th). With the holiday season upon us and all the party planning madness, why not put together a nice sweet table with plenty of scrumptious cupcakes? Just a thought! Please note that the ones I have tried were gluten-free, but Sophia also makes regular one in a completely separate kitchen.